ኧረ ለመሆኑ ይኸ ሁሉ የት ነውየሚያደርሰን? አገራችን የተከበረ ባሕሏና ታሪኳ የሚጠነክርበትን ሳይሆን፤ የሚጠፋበትን መንገድ እንድትከተል አልተደረገም ወይ? አገራችን፤ ልጆቿን በትምህርት ለማነፅ የሚያስችሏት፤ በሊቃውንቶች የተመሰከሩ ብዙ የባሕል ጥበቦች እያሏት፤ የጠላቶቻችንንና የአጥፊዎቻችንን ተንኮል ለመገብየት ለምን ት ደ ክ ማለ ች ? I made a video of this speech in its entirety. I also have video of the get-together dinner the night before at Meaza Restaurant. At the time, I combined the 2 and published them onto one single DVD. 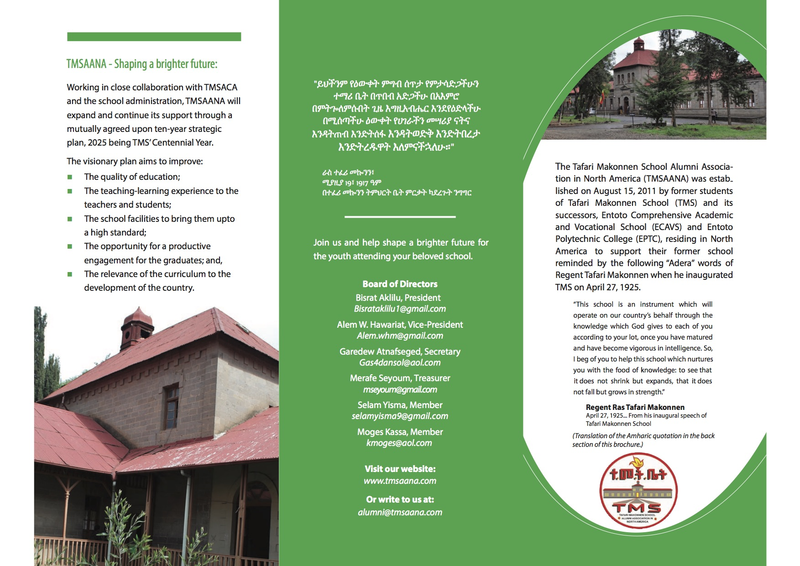 I made two copies and sent one to Yafet Tekle (West Coast) and the other to Yirgu Wolde (East Coast). 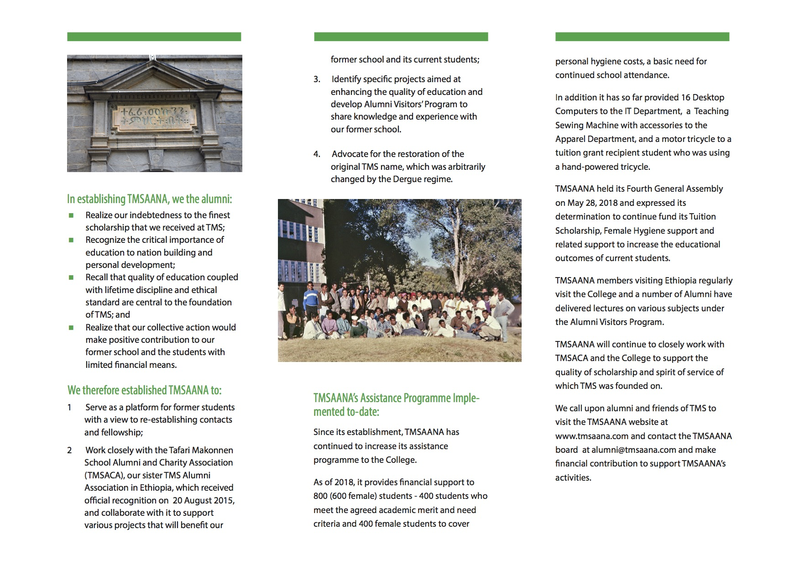 I can still make a copy and send it to TMSAANA’s central office (the “Board”) should they wish to make further copies and distribute them to alumni for a nominal fee. The funds could be used as further revenue source for TMSAANA’s current and future projects. On this matter, I have to say that it is too bad that there is no photo gallery of the 1st General Assembly (2012) which had good-size attendance. I know so many, many pictures were taken as it was really a historic time for all of us. Thanks for your usual good suggestions. The Board would appreciate if you send us the video of the First General Assembly so that we can post it. The pictures of the First GA were unfortunately deleted when the TMSAANA website was down two two years ago. Since some Alumni have told us that they have pictures of the First GA, we will post them as soon as we get them. I just today see that the pictures of the First GA have been posted in the Gallery section. Thank you, thank you, thank you to everybody that has put in the special effort to get that done. My best regards to everybody.